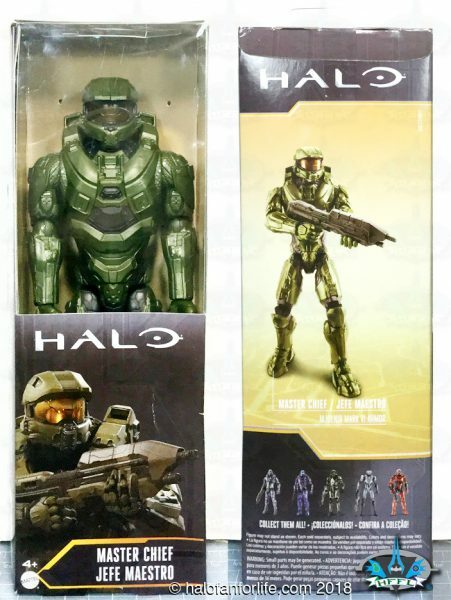 In the box you get Chief and an Assault Rifle. A close-up of the helmet and part of the torso. 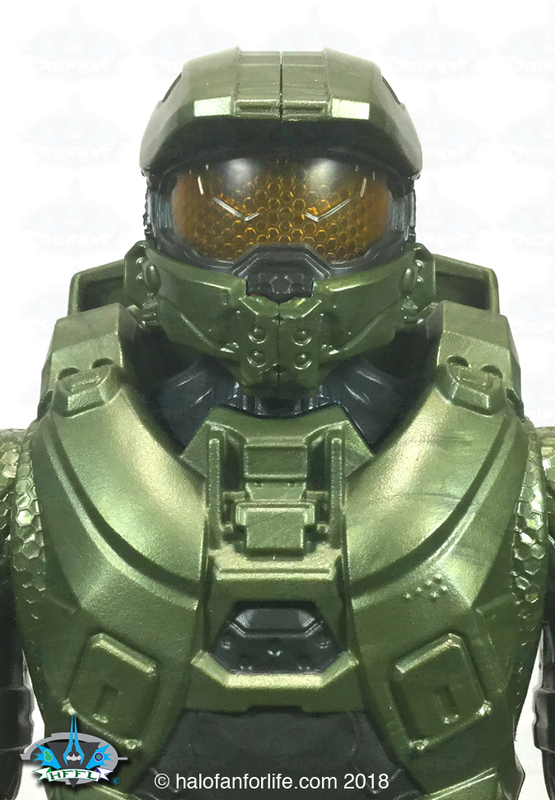 I was very surprised by the amount of detail in the visor itself. Its translucent and has not only the larger lines sculpted into it, but also the hexagons. VERY good work on Mattel’s part! Here’s Master Chief in orthogonal views. As you can see, the figure is thin from front to back. It’s also a bit stretched height-wise. 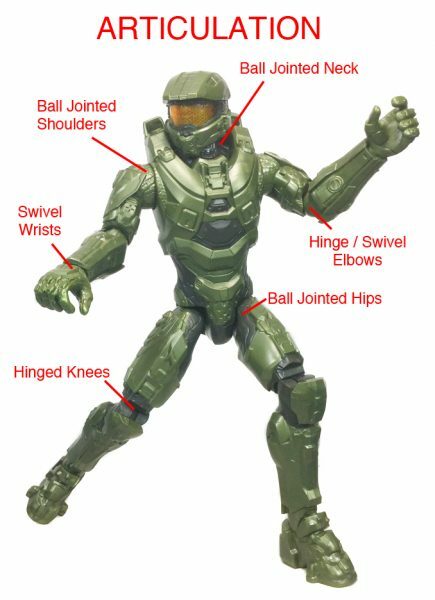 That’s really the only thing I’m disappointed with with Mattel’s 12 inch Halo figs. I’d rather they be bulkier and not stretched out. However, as that’s their interpretation, I’ve grown accustomed to it and am liking these figures more and more each day. The articulation of the 12 inch Mattel figures in comparison to the 6 inch ones is far less. However, I need to point out that the 12 inch figures cost less than half of the 6 inch ones. So it’s acceptable that there is less articulation. Chief stands ready to take on whatever galactic threat is out there against humanity! Sculpt: Very good, except that the figure is stretched to fit the box and is a bit thin from front to back. 8.5 of 10 medals! Overall: 42.5 medals out of a total 50 medals. Do I recommend this product? YES. 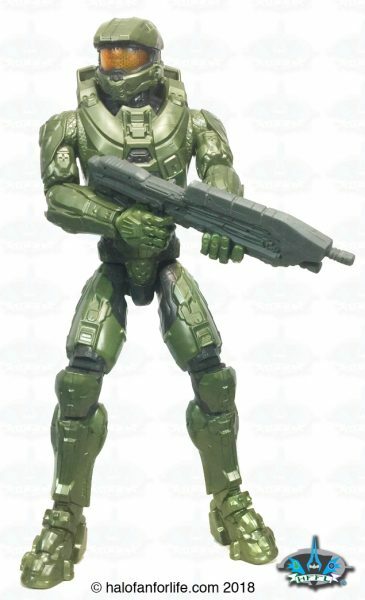 For one, it’s Master Chief! 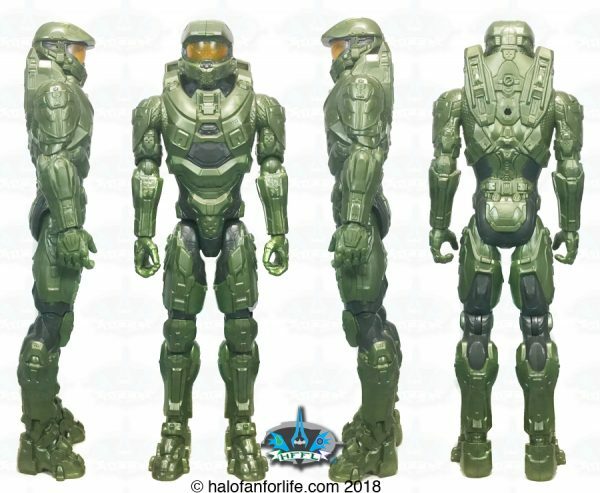 Though the 12 inch Mattel Halo figures are stretched to meet that height and a bit thin front to back, they are still fun toys. They would be great for kids to play with and make for nice display figures for collectors. The cost is very low for these (again I only paid $8.44 for mine from Was Mart), which is a bonus!